The lack of any coherent federal energy or climate policy beyond 2020 is damaging investor confidence in Australia, according to a new industry survey following a record year for activity. The Clean Energy Council lobby group revealed its latest biannual industry survey from the country’s energy sector. It revealed a growth in short-term confidence, with 83% of the respondents revealing plans to add to their work force in the next 12 months — up from 73% in the previous survey revealed in July 2018. 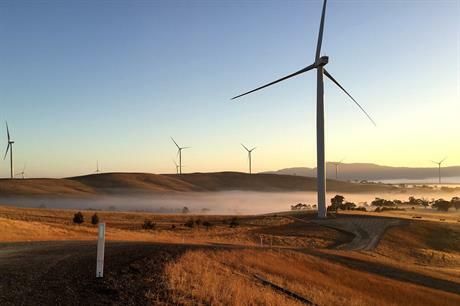 Over 14.5GW of renewable energy capacity was under construction in Australia as of early December, the CEC revealed. The total value of these projects is A$20 billion, more than double the total at the same time in 2017, the CEC added, with a further A$ 6 billion worth of projects already completed in 2018 alone. "While new investment no longer requires subsidy, it does require long-term energy policy certainty. As the year closes, we are no closer to national, bipartisan energy and climate policy. If anything we are further away than when we started," said CEC chief executive Kane Thornton. Confidence was highest in Victoria, according to the survey, following its recent state election, followed by New South Wales and Queensland. However, among the concerns was the lack of an agreed framework beyond the expiration of the Renewable Energy Target system in 2020 and difficulties arising from grid connections and access. Angus Taylor — Australia’s new energy minister appointed by prime minister Scott Morrison after he usurped Malcolm Turnbull — said in September there are no government plans to replace the RET after 2020. He said the government would "back investment in fair dinkum reliable generation because that’s what this country needs". "It doesn’t need to be stuffed with intermittent generation that drives up prices and drives down reliability," Taylor told the Australian parliament. Thornton added: "While more than $26 billion worth of projects were completed or underway in 2018, executives are very conscious that the future remains uncertain in the absence of federal policy."